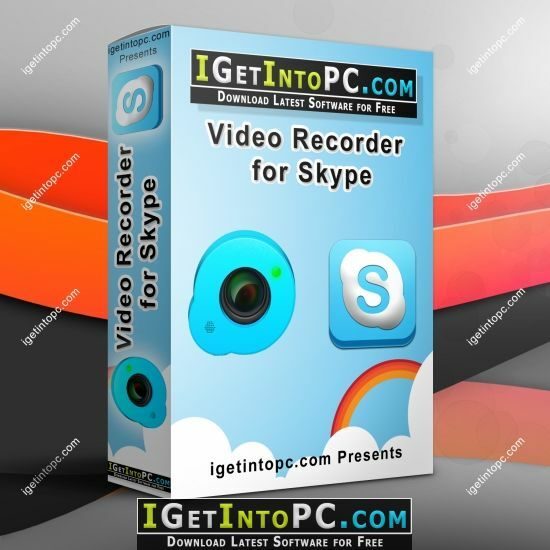 Video Recorder for Skype Free Download new and latest version for windows. 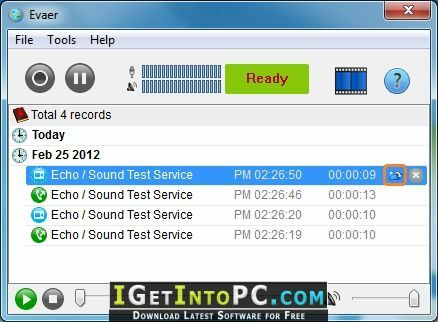 It is full offline installer standalone setup of Video Recorder for Skype Free Download for compatible version of windows. Program was checked and installed manually before uploading by our staff, it is fully working version without any problems. Record Skype video and audio calls into MP4 & AVI movie files. Easy to use for recording Skype video and audio interviews, conferences, podcasts, or family calls. Evaer Skype recorder supports Skype video call Picture-in-picture, Side-by-side (landscape ,portrait), Separate video files, Remote-webcam-only and Local-webcam-only mode recording. Evaer Skype recorder supports separate MP3 audio file recording when you record the Skype video calls. You can also download WhatsApp 0.3.557 for Windows. You can also use it just to record the Skype audio calls. Evaer records Skype by capturing original audio and video data. It is NOT a screen-capture recorder, video quality is not affected at all if you resize Skype video windows while recording. It can automatically detect the type of call, video call recording into MP4 or AVI file, voice call recording into MP3 file. Up to 10 ways Skype group video call recording is supported. Evaer Skype recorder records Skype call with capturing original media data and there is no data loss. You can also download Skype 8.31.0.92 Offline Installer PC. Below are some amazing features you can experience after installation of Video Recorder for Skype Free Download please keep in mind features may vary and totally depends if your system support them. Capture original Skype audio and video data to record with high quality. Supports recording single Skype video calls, Skype screen sharing sessions and up to 10 way Skype group video calls. Record Skype video calls directly to your hard disk with picture-in-picture, side-by-side (landscape ,portrait), separate files, audio-only, local-webcam-only and remote-webcam-only mode. Changeable recording video codec, video resolution (supports 240p, 360p, 480p, 720p, 1080p), aspect ratio (4:3, 16:9) and frame rate. Self-adaptive selection of video resolution and aspect ratio. Preview video while recording video calls. Save Skype video message and Skype voicemail directly to your hard disk. Option to record Skype video calls into MP4 or AVI files. Option to record separate MP3 audio files with video calls. Automatically record MP3 audio files if audio calls only. Answering machine for Skype video and voice incoming calls. Supports recording Desktop of Skype, Skype 8, Skype UWP and Skype for Business. Compatible with Windows Vista/7/8/10 (32/64-bit). Click on below button to start Video Recorder for Skype Free Download. This is complete offline installer and standalone setup for Video Recorder for Skype. This would be working perfectly fine with compatible version of windows.